Sting recently said the Undertaker is the only wrestler he'd come out of retirement to face. 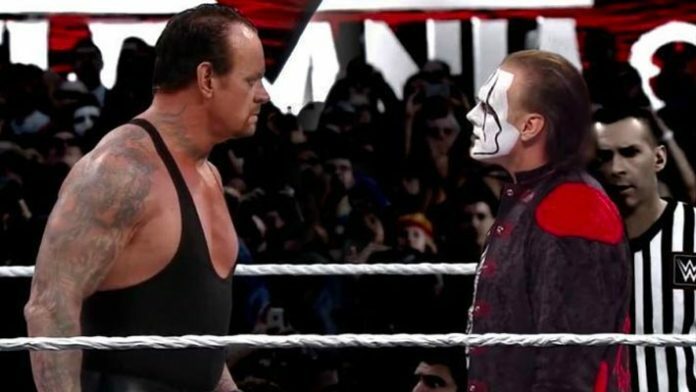 Sting vs Undertaker at WrestleMania will likely go down as one of the most often talked about but never delivered on matches in pro-wrestling history. During a recent discussion with Wrestling Travel (a travel group specializing in pro-wrestling events), Sting revealed what it would take to lure him out of retirement. Sting wrestled 4x for WWE during his career. He lost to Triple H at WrestleMania 31. Sting would continue to say there were no plans for what he would do with WWE after his match with Rollins had he not been injured.